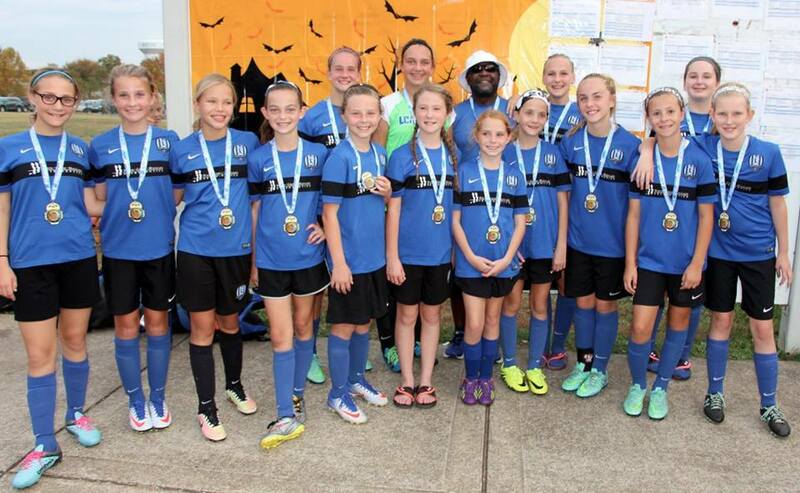 04 Girls Gold – Kick or Treat Champions! 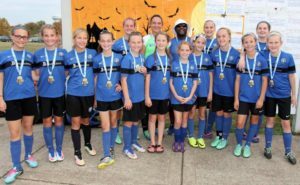 04 Girls Gold – Kick or Treat Champions 2016! CSC 04 Girls Gold were champions at the Sky Soccer Kick or Treat Classic over the weekend of October 29-30, in Bowling Green, KY.
After an initial loss to MC Dynamo, Coach Pete and the girls went undefeated with three straight shut outs. They defeated EESC Red Venom 5-0, Tennessee SC 3-0, and Columbia Futbol Lady Arsenal 3-0. Congratulations CSC 04 Girls Gold and Coach Pete!